Last month I put together a post all about my photography A-Z (found here) and it became so big and extensive that it became apparent quite quickly that it was far too big of a subject to cover in one solitary blog post. Although it may not seem like it photography is a hugely technical area of art, there are so many aspects to explore and understand so for a bit of an overview I've put together the second half of my alphabet. These are some of the most common ideas to breakdown and some of my most loved or commonly used, what is in your photography or creative outlet A - Z? Noise: As described in the ISO section of the original blog post it can appear when a really high ISO number has been used for an image. A high ISO number is normally used in lower light situations but if you're like me even though in general the settings for a singular picture can be balanced I prefer adding a bit more brightness on top of it. It's basically a type of visual distortion and when the analogue film or digital sensor has been pushed to the higher end of sensitivity it creates little dots. The idea of noise is subjective, some like it or don't mind it whilst others hate it, noise should be judged purely on the setting and subject matter some times it works for the subject matter for example in more candid imagery it adds to the atmosphere. It can be more noticeable when the photograph has been blown up bigger or zoomed in. There are actually quite a few different types of noise if you want to have a read here. Overexposed: Most images are generally defined as either underexposed, correctly exposed or overexposed however beauty is in the eye of beholder and one light setting may not suit the same image. The most primitive way to determine your light and how 'correct' it is to make sure the whites are white and the blacks are black (if they're grey or too dark they can be deemed underexposed but that's not always a bad thing) however too far and eventually the whites or other colours will become too bright having no pixel detail, most commonly in the highlight section. You want the pixels as when editing you can't bring back something that isn't there or it's harder to replicate the texture you want when the information is not there as a basis but if you're a photoshop wizard this could be a small stumbling step. One way to overcome this is to do as much work in camera then you don't have to have a panic when it comes to editing. Exposure can be a funny old thing to perfect and is also at the mercy of your own personal style. For me I'd say a lot of my images are more on the overexposed side to compensate for my usual blog picture location. Perspective: This can be an odd one as it can help you create illusions in your work, by using angles you can direct the audience's eye and add something new to an otherwise flat creation. Through this you can make textures seem touchable, objects can seem more 3D and you can introduce optical illusions whether by accident or not. Low angles can make things seem bigger and more powerful, high angles make things seem smaller and weaker but there are other considerations to make for example when taking a portrait certain parts of the body can be exaggerated when compared to the rest of the body if they're closest to the lens of the camera. You can create fun, surreal images but you can also add more life and dimension to your work. Post Processing: Editing can be one of the strongest allies of your photography work regardless of whether you're a professional or amateur, you can make big edited masterpiece or it can be used to exaggerate your already bold image. In terms of how you edit this can be affected by what tools you use, there are a whole range of software, websites, apps and in built options that can help you whether it's for personal or business use, my most used include: Canva, Windows editor, Facetune and VSCOCAM. You don't need the most expensive software to highlight your successes but it can help and add the finishing touches. 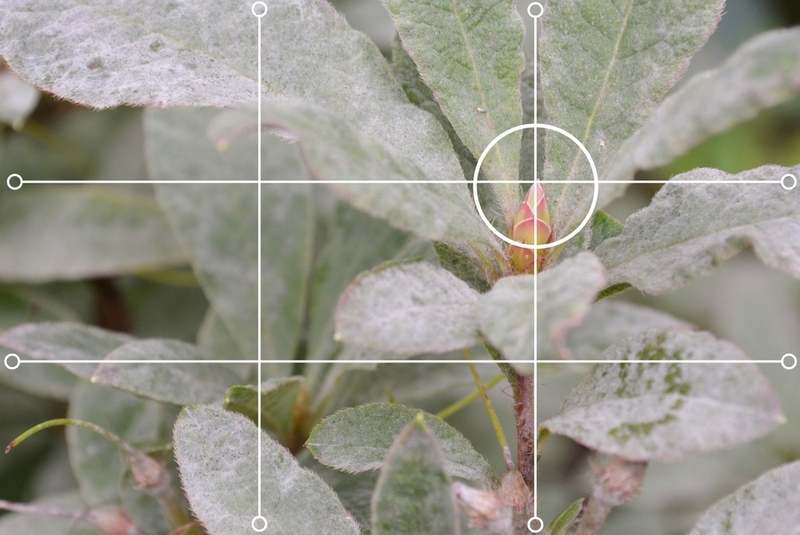 Rule Of Thirds: Very much linked to the Golden Ratio mentioned in the first blog post, it's a method of arranging your imagery to be aesthetically pleasing with by the use of a grid. After having a play with a camera you become used to naturally visualising the grid in your mind especially if you're using an older analogue camera but you can easily rely on your digital baby as they often have an in-built screen setting. Our eyes are naturally drawn to subject matter that falls on the grid lines as shown in the picture (left). (Camera) Shake: Something that can be deemed a faux pas by many but on occasion can be an effective artistic feature within images depending purely on your personal style. Shake is where you capture some kind of movement, which can happen from anything for example having a too slower shutter speed and removing your camera from it's desired position, pressing the shutter button or simple someone slightly nudging you and your camera. It's mostly an accidental thing with many photographs having an outtake of this in their camera roll but it can look really good in images especially in more snapshot aesthetic photographs. Tripod: A handy three-legged piece of photography equipment that can come in big and more portable sizes are used as a stand for supporting your trusty camera, it can help eliminate camera shake and be a faithful companion for flat lays. All I would say is a reminder to be mindful of your camera's weight (and any extras you choose to add on as a handy carrier) as not every tripod can support the weight of the body or lens of your kit. Vantage Point: Or alternatively angles it can link heavily to perspective, how we see the world and capture it. There are a whole range of angles to choose from and each can add a very different feel in themselves, for example there is high angle, low angle, eye - level angle, point of view angle, bird's eye view and worm's eye view. The same subject matter can be shot from all angles and the eventual pick could be an unexpected one. If you want a more in depth look there is another blog post that also looks at lighting as well as angles (found here). White Balance: It's sort of what it says on the tin and getting white balance right can replicate what we see and that it's accurate, there are quite a few different types of light sources and each with their own different qualities for example light can be warm, cold and neutral. Often it's used to correct the neutral tones and can incorporate elements of colour correction (for example amber can combat too much of a blue tints). It's a good way to go back and perfect parts of an image you may have overlooked. Zoom: This isn't the most complicated of elements to trip over as it literally means zooming into your image to put yourself closer to the intended subject matter, zooming can be done in camera by simply twisting the lens (if it isn't fixed) to give your desired capture but it can also happen in post processing and you can blow up your image so that you can edit pixels with more precision. What it's in your A-Z of photography?